What Are the Different Parrot Supplies? Owners of large parrots should be aware that items left in the cage will get chewed on. Toys are not essential for parrots, but they help with boredom, and a bored parrot can be a loud parrot. 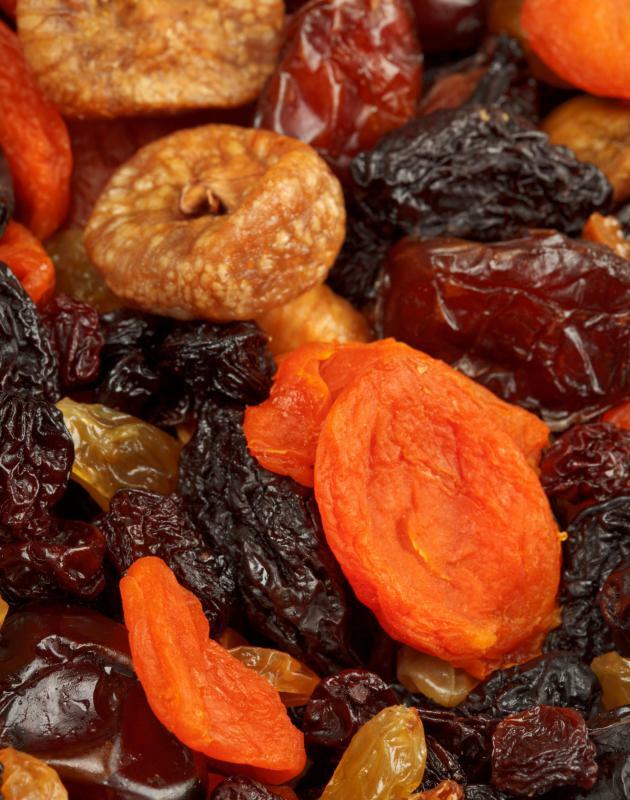 Parrots often like to eat dried fruit. Parrots come in many different sizes and personalities, and their supplies vary slightly depending on the type of bird. The basic parrot supplies that every bird needs include a cage, a place for the bids to sit, food, and feeding accessories. Other supplies, such as toys and treats, are nice extras for them to have, but they’re not essential to the well-being of the bird. Cages are the most important parrot supplies, and often the most expensive. The cages should be roomy enough to the parrots to stretch their wings, climb, and exercise. 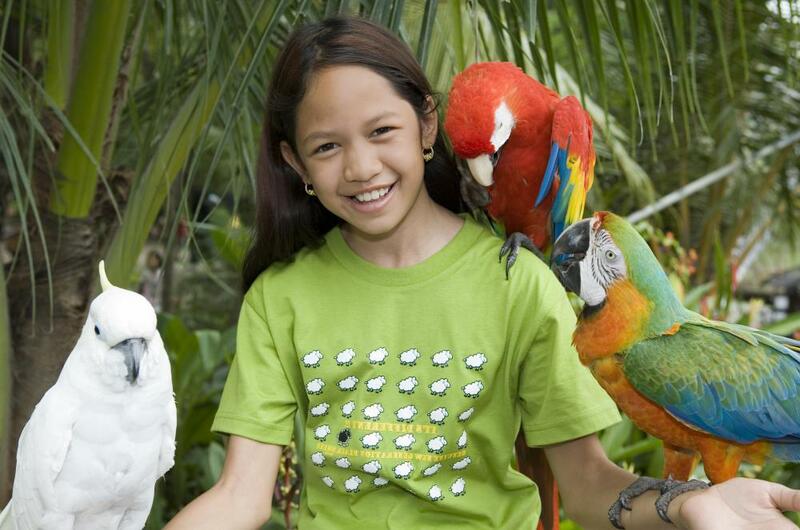 Ideally, larger parrots, such as African Grays or Macaws, should be in their own cage. If possible, parrots should be allowed out of their cages on a regular schedule. Parrots are highly intelligent birds, and can open just about any closing mechanism, so cages may need to be locked to prevent escapes. Perches are also important parrot supplies, as parrots need a place to sit. The perches should be placed next to the food and water dishes. If space allows, another perch should go higher up in the cage. For smaller parrots, like parakeets, wooden perches are typically fine. Larger parrots, however, like to chew their wooden perches. Sandstone or some other rough stone-like material will last longer and act as nail files for the birds’ claws. Cages should contain at least two feeding bowls, including one for food and one for water. Metal bowls are usually best because they can be easily washed out and wiped clean. Plastic bowls tend to degrade faster and can stain. The water bowls should be large enough to allow the parrots to splash around, as they enjoy bathing frequently. Water needs to be changed at least once a day, but may need to be changed more often, as it can get dirty very quickly with parrots that enjoy soaking their food in their water. Although toys are not essential parrot supplies, most parrots enjoy having something to play with when they’re bored. A bored parrot is a very loud parrot, so it is in the owners’ best interest to give their birds something to do. 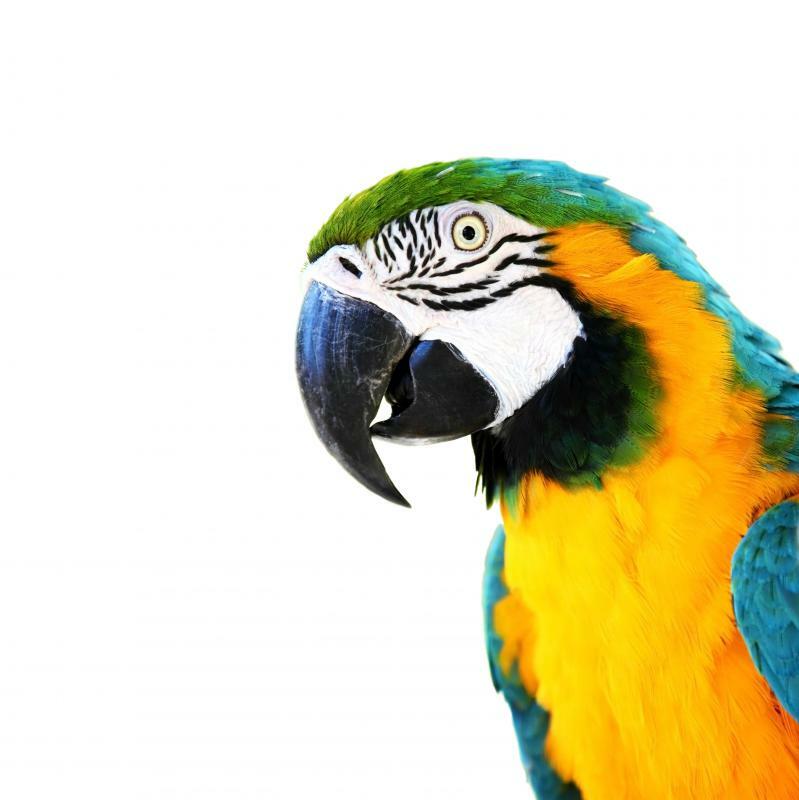 Owners of larger parrots should keep in mind that whatever they put in the cage is most likely going to be chewed on, so they should opt for toys that are made from untreated wood or other materials designed for their parrot’s safety. Treats are also optional parrot supplies, and they come in many different varieties. Owners should get the right treats for the size of their parrots. Foraging boxes, which are cardboard boxes filled with seed, are good options for parrots because they are foragers by nature. Other types of treats include seed sticks, bird cookies, and dried fruits. What Are the Different Types of Parrot Toys? What Are the Pros and Cons of Keeping a Pet Parrot? How Do I Choose the Best Parrot Food? What Are the Different Types of Parrot Cages? What Are the Different Types of Parrot Harnesses? What Factors Affect the Cost of a Parrot? How Do I Treat Parakeet Diarrhea?